Sega has announced a mobile real-time strategy mobile game for iOS and Android systems. Titled Revolve8, it stars the likes of Sinbad and Cinderella, as well as other characters from fairy tales. Classified between heroes, minions, buildings, and magic, use cards wisely in order to win. When a player assembles a deck, a type is already assigned as assault, siege, and counter. Assault allows a player to go into enemy lines, siege attacks from afar, and counter obviously for counterattacks. Heroes also has a normal skill and a special skill. Special skills can only be used once, where normal skills are on a cooldown of 30 seconds. 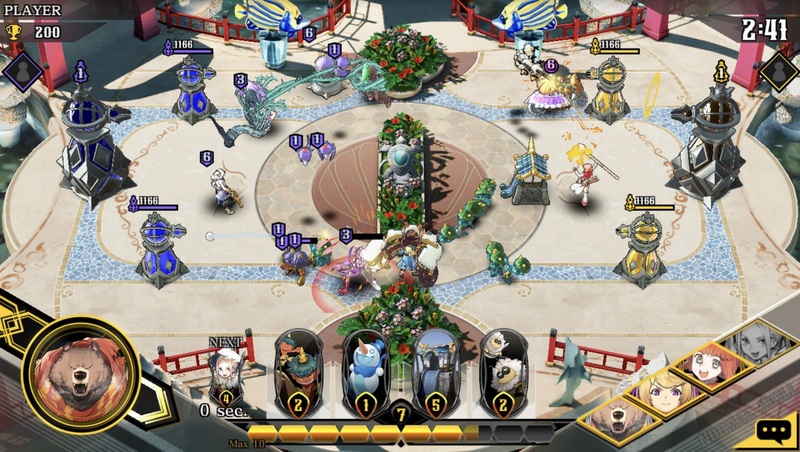 The goal is to use a deck of 8 cards, where they must destroy the opponent’s towers within 3 minutes to win. The game itself stars Masayoshi Kikuchi as senior producer and Koji Igarashi as character designer. Ryota-H is also character artist and Shunsuke Tsuchiya and Yasunori Mitsuda as sound producers. Revolve8 will have a closed beta, where registration has already started since October 10th, 9 UTC, where it will go on until October 22nd, 14:59 UTC. The closed beta test itself will start at October 23rd, 14:00 UTC to November 2, 14:00 UTC. Previous Post:Sentai Filmworks October Blowout Sale Starts Now!